As I spoke about in my previous blog post I’m working on songbirds for an upcoming book on the Natural History of the Bighorn Basin of Wyoming. 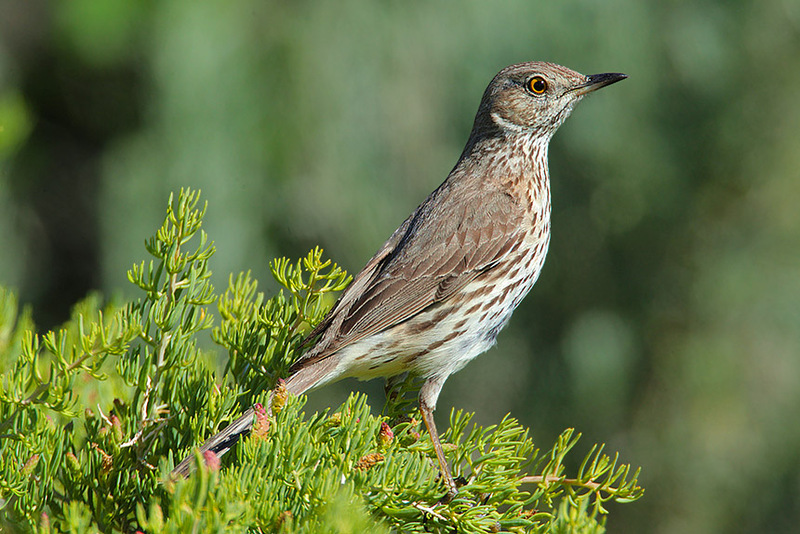 An important bird for me to include is the sage thrasher which is a indicator species for the “sagebrush steppe” ecosystem that covers large portions of the basin. I was having a difficult time getting this bird and was becoming a bit frustrated but I got lucky the other day and managed to capture some decent images of this fine specimen. Again I was using my vehicle as a blind shooting out my window with my Canon Eos 1Dmk4 and my Canon EF800mm F5.6L lens. It’s a killer setup for this type of photography. I get really nice unfocussed/blurred backgrounds withe the 800mm when I shoot wide open at F5.6. This gives your main subject prominence in the composition. 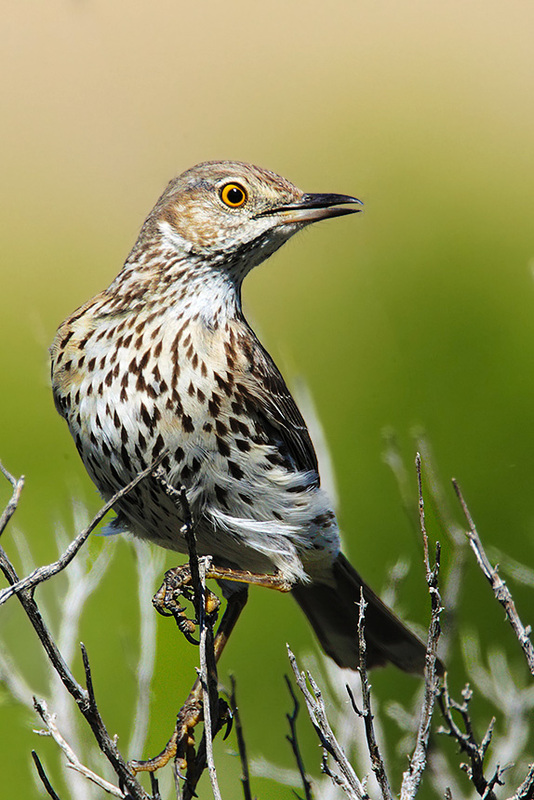 I didn’t have the greatest light for these images so I’l keep trying with these birds but at least I now have some good images of the elusive sage thrasher…..